New cars and global debuts at the 2016 Los Angeles Auto Show, which will be held from 18-27 November, with press days on the 16-17. The 2016 Los Angeles Auto Show will be held from 18-27 November, with press days and car reveals taking place on the 16th and 17th. 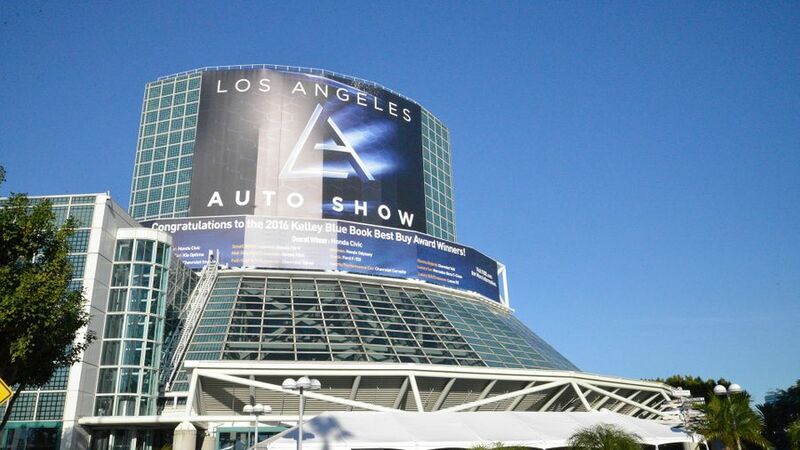 The LA Motor Show press days, and the Connected Car Expo, which has been running since 2013, have now merged to become AutoMobility LA. All will take place at the Los Angeles Convention Center. There will be more than 50 new cars at this year’s show, including 20 debuts. Alfa Romeo has confirmed its new and first SUV, the Stelvio, will make its global debut at the LA Auto Show, the 2017 Jeep Compass will be on show after its unveiling in Brazil (where it’s being built), and the Audi Q5 will be revealed in the US after stopping by at the Paris Motor Show. And, of course, Nissan is building a limited number of special edition Star Wars Rogue crossovers to help promote Rogue One: A Star Wars Story. Hyperdrive is unfortunately not an option, but buyers will get new wheels, a fancy paint job and a special badge… Nissan has said the 2017 compact crossover will be packed with safety tech, but that specific details including pricing won’t be revealed until the LA Show. BMW, Jaguar, Volkswagen and others will also be debuting their new models, and it’s likely the new Mercedes-AMG E63 – the high-performance flagship of the new E-Class range – will be making an appearance, too. Manufacturers will be teasing and revealing more information about what they’ll be bringing to the show closer to the event, which we will of course keep you updated with.